It has been a while since I updated here as the wool is all out of my hands! Jennifer is hard at work cleaning and blending the Dorset and Icelandic so I’m left to weather another winter with my smaller crochet work to keep me company! Soon enough though the bags of beautiful fluffy wool will return from the mill and I can get felting! 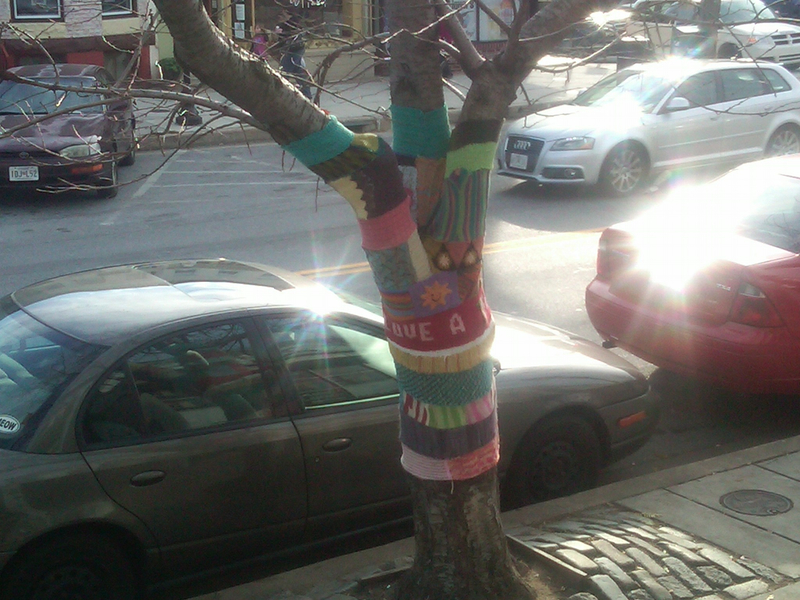 In the meantime I thought I’d share this awesome picture of a knitted tree I saw a few weekends ago in Baltimore! It was outside of a yarn store and looked like the tree was quite warm. More to come on the wool progress as I get updates. So far no news is good news and there’s still another dose of Icelandic yet to be delivered!